No review today since all the items from Beauty BigBang were used in yesterday’s design. 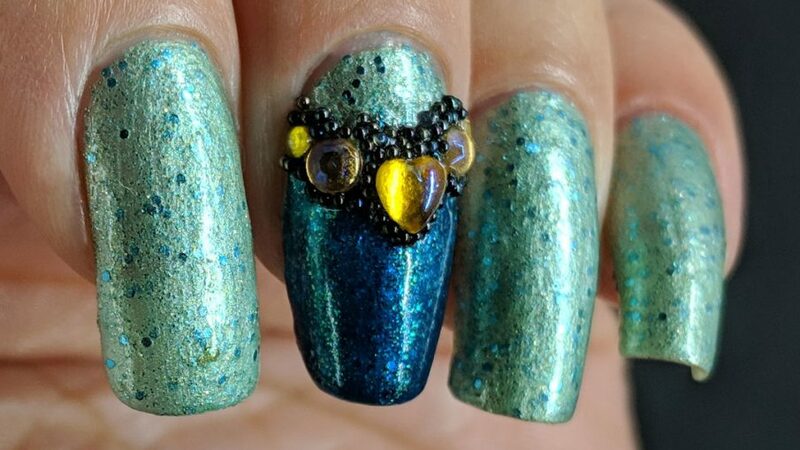 That said, I thought it was important to post two different designs since there were 12 different kinds of rhinestone in the grid. 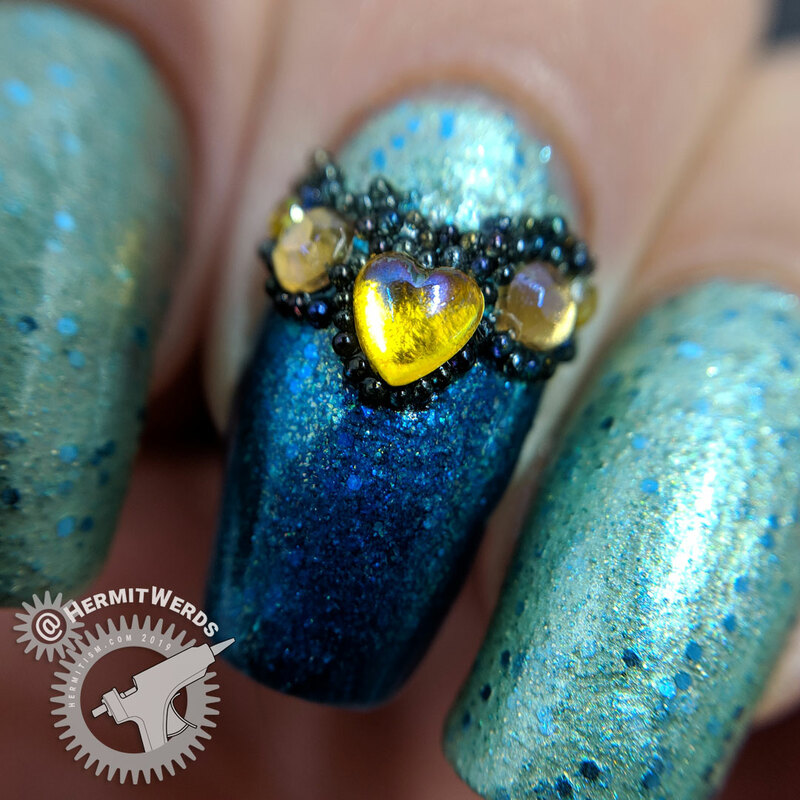 So today’s look sports the golden heart and round rhinestones with a 2mm round from eBay and more of the black caviar beads filling in the gaps. 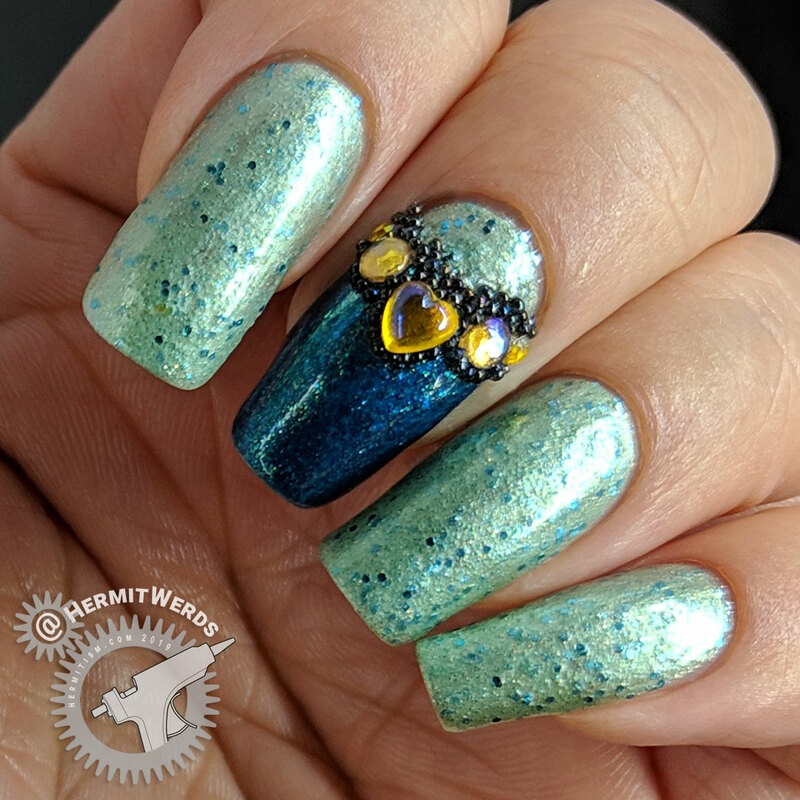 I love how the accent nail came together and it could only be an accent since this was painted for the swatch prompt of @ColoursWithinWomen: Mint. Over seventy participants in this challenge. 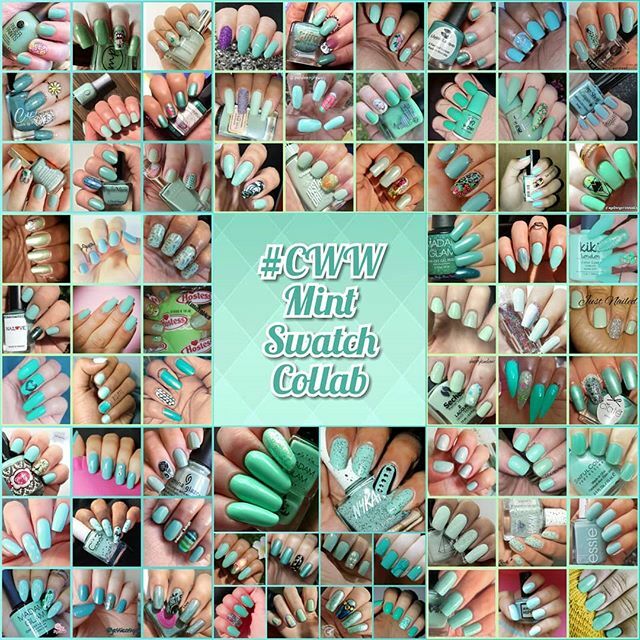 Mint is a polish that most Instagram nail artists have at least one of. 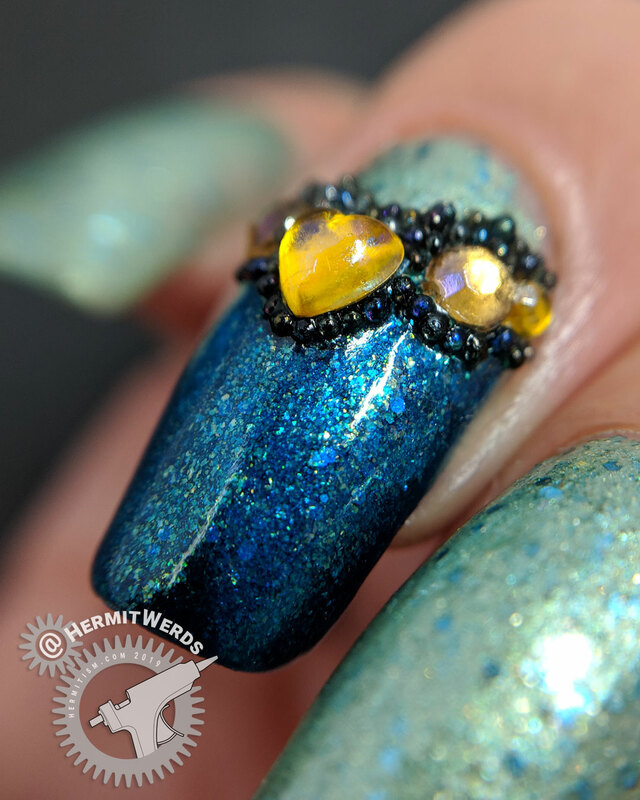 Check out the group tag to see everyone’s individual design up close.